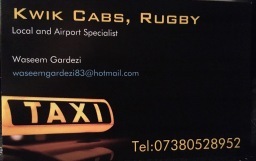 Fast and reliable taxi service in and surrounding areas of Rugby. 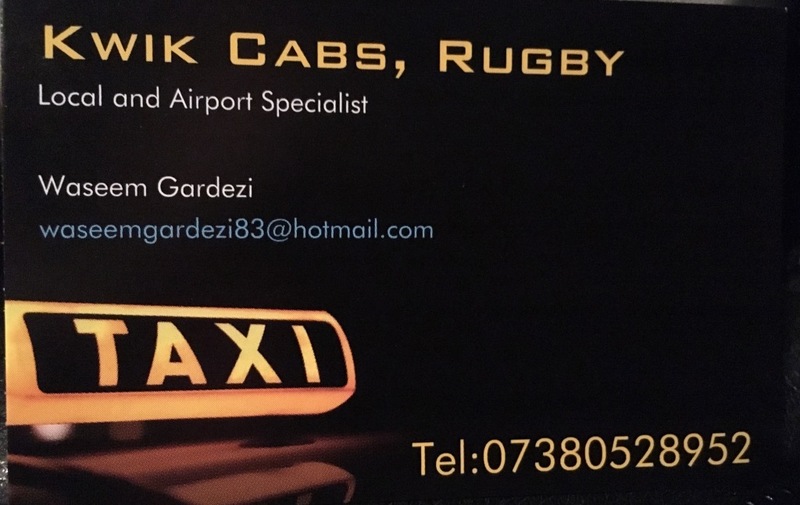 Kwik cabs Rugby is a reliable and fast taxi service in Rugby area. We do offer local and long distance journeys according to your need. All our drivers are fully CRB checked and insured. Special rates on long journeys and airport transfers. All you need to do is give us a call and we will try our best to provide you the best reliable service possible.